The holidays are coming. Again. Starting in October, when sweaters get bulkier and winter clothes get bigger, all of sudden appears bowls of candy corns, nestles crunch, kit kats, twix and whatever else around the office. Some people find it a minor annoyance, but with an eating disorder, it’s like being stuck in the middle of a battlefield with nowhere to hide. These food centered holidays bring all sorts of anxieties for those who suffer from food and body image issues. There are two things that you need to be successful during the holidays. A plan isn’t a diet plan. It’s a strategy on how to deal with what comes up for you when you see all this candy around. For some, the resist all day long, then at night, when they are alone, and all that energy of resisting takes a quit break, it all crumbles. Sometimes a binge will happen at the end of the day after everyone has left the office. Sometimes it’s not even safe after you’ve left the office. A backlash happens and you might find yourself at the store buying in bulk all the candy that you’ve been trying so hard to avoid all day long. You need to understand YOU. 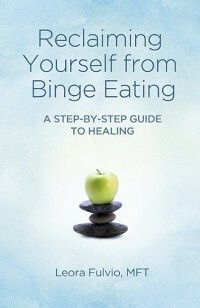 Is resisting going to create a binge for you? If so, you might want to give yourself a loving limit– such as one or two bite sized pieces each day after lunch. This is reasonable. If you feel as though you don’t have the eyes or the sense right now at this point in your recovery to know what’s reasonable or normal, you might want to ask someone you trust. If you feel as though at this point it’s better if you don’t start at all, you will probably want to create some good strategies for that as well. You might tell the people in your office that it’s your intention not to start in on the candy this year. If anyone offers it to you, it’s okay for you to say, “no thank you.” If someone pushes the issue, it’s okay to look them in the eye and firmly repeat your stance. “I don’t want any. Thank you for asking.” You don’t owe anyone any further explanation about what you are or are not willing to eat. That’s your business. Another strategy is to keep food on your desk that you know you won’t binge on. For example, a giant bowl of apples might be helpful. Here’s a food that you can linger on, munch through and feel good about eating, but probably won’t binge on. Think about what safe foods you might be able to keep around to snack on when you think that you might be heading in that direction. You definitely need a safe person. A safe person is a buddy who you are accountable to. Tell them your intention, whatever it is, not to binge on office candy this year. If you find that you are getting to the point where it seems as though it’s going to happen, you can email, call or text them and let them know that you are wanting to get into the food. Ask them to help you relax and breathe through it. Then, allow yourself to just sit and breathe for five minutes. Take a breath into your belly to the count of five, then exhale to the count of five. Do this for five minutes. It will help you to slow down, reduce anxiety and help you to refocus your energy off the binge and onto you. Then you can decipher, am I hungry or bingey? If you’re hungry, go eat something healthy! If you’re bingey, think about what purpose the binge would serve. Would it relax you? Could a quick walk outside your office do something similar? Could a good laugh at a You tube video be relaxing? Really help yourself think about what you need. The office candy doesn’t have to attack you. You can choose a healthy body healthy mind in this case.